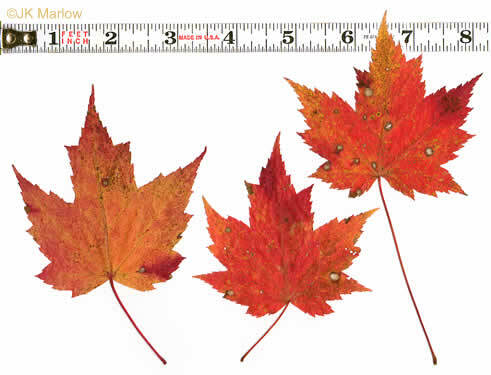 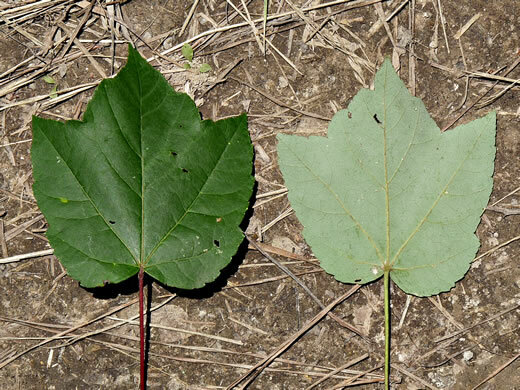 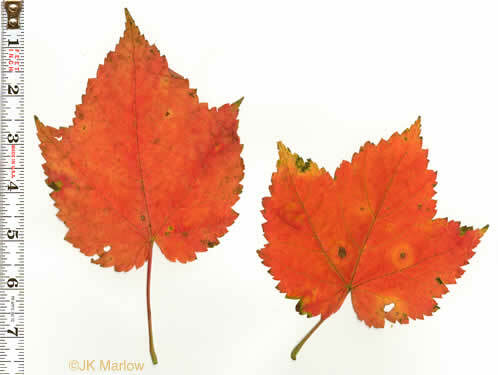 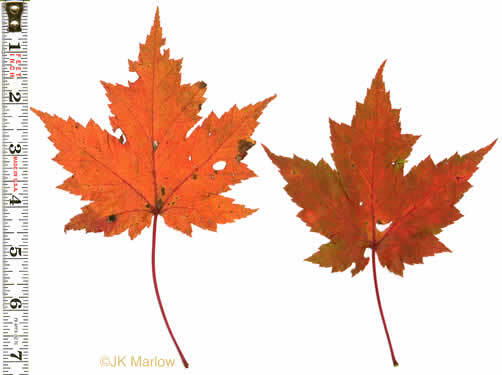 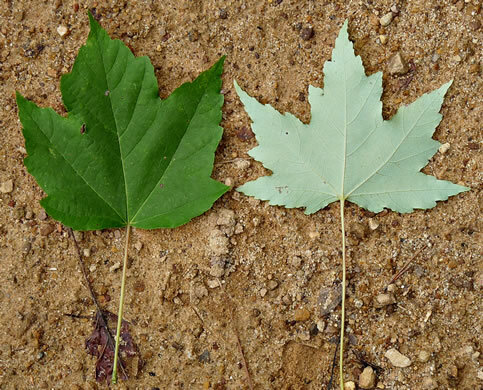 Your search found 9 image(s) of leaves of Mapleleaf Viburnum and Maple species. 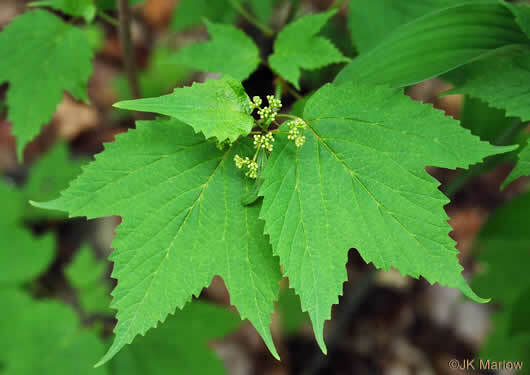 Leaves coarsely serrate (2-3 teeth per cm), per Weakley's Flora. 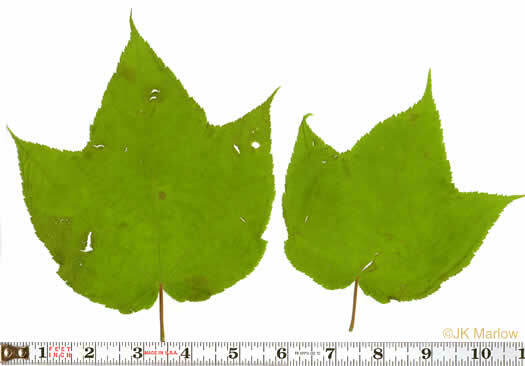 Leaves (3)5(9)-lobed, the central lobe 4-8cm long, upper 2 lateral lobes 2-5cm, per Weakley's Flora. 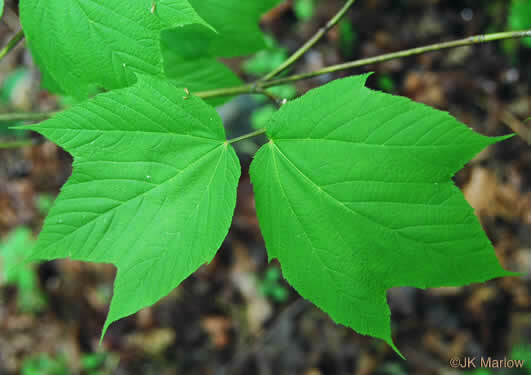 Sinuses are V-shaped, varying in size, irregularly serrate, per Native Trees of the Southeast, An Identification Guide. 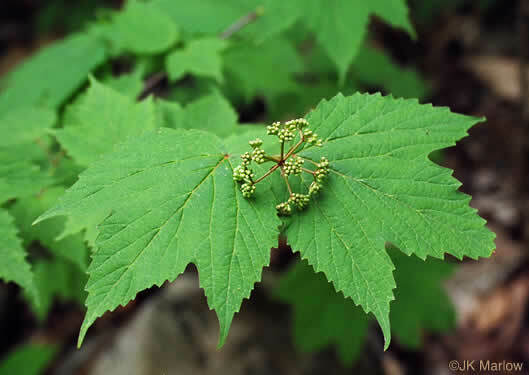 Leaves 3-lobed, coarsely serrate, base rounded to cordate, per Vascular Flora of the Carolinas.